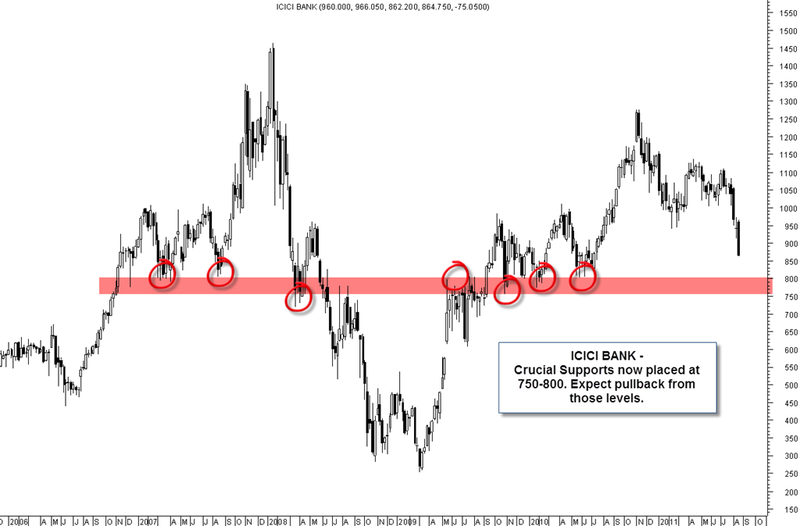 ICICI BANK ---- Expecting some recovery from 750-800 zones or maybe a good bottom in place at those levels. 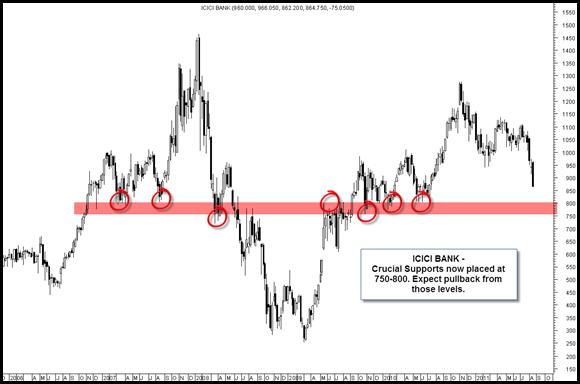 Bank Nifty downside target is closer to 9200 so lets wait for some reversal signs next week. 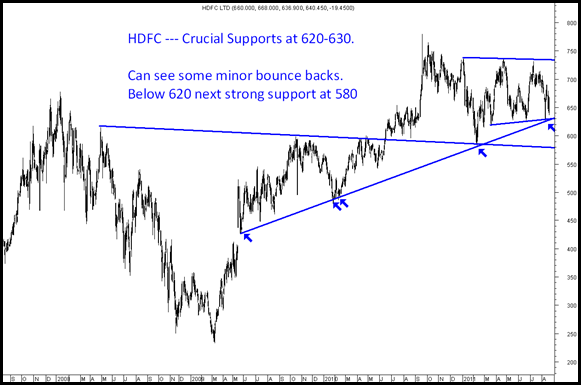 Nifty around 4700 Sensex 15500 are technical downside targets we need to wait n watch for it. Investors should buy very slowly and in small quantities on declines. 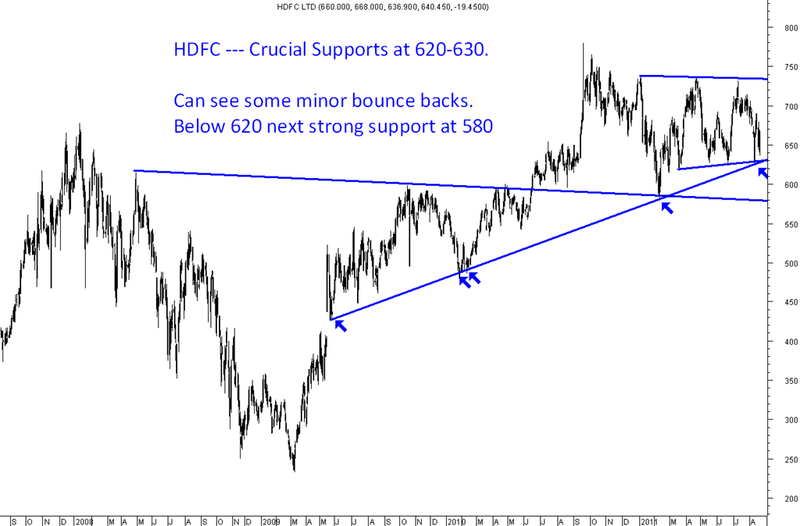 HDFC LTD --- 620 remains a critical level.